Boca Raton based IM HealthScience is dedicated to developing medical foods for the dietary management of gastrointestinal issues where there is a high unmet need, including irritable bowel syndrome (IBS), functional dyspepsia, ulcerative colitis and Crohn's disease. Broward Health President and CEO Frank Nask announced that he would retire once his contract expires on March 31, 2015. Nask has led the public health system for northern Broward County since 2008, overseeing four hospitals and a network of urgent care and outpatient centers. He spearheaded major physical upgrades for its facilities, including the ongoing $70 million expansion and renovation of Broward Health North, and introduced electronic medical records. Dr. Rani Gereige, Director of Medical Education at Miami Children's Hospital (MCH), has been appointed to the Accreditation Council for Graduate Medical Education's (ACGME) Residency Review Committee for Pediatrics. In this role, Dr. Gereige will participate in setting national pediatric residency program educational standards, providing peer evaluation, and conferring accreditation on programs that meet those standards. Dr. Gereige has served as the Director of Medical Education at MCH since 2010, overseeing one of the largest pediatric medical education programs in the region. He is also a clinical professor in the Department of Pediatrics at Florida International University College of Medicine. Prior to joining MCH, Dr. Gereige served as a Professor of Pediatrics at the University of South Florida (USF) College of Medicine. Miami Dade-based Gastro Health recently announced that Dr. Roberto Gonzalez has joined the team. 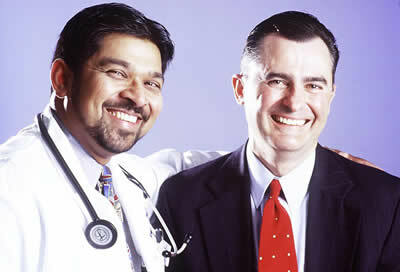 He is board certified in both gastroenterology and internal medicine. He completed his internal medicine training at Weill-Cornell Medical Center/New York-Presbyterian Hospital and his gastroenterology training at Beth Israel Medical Center in New York City. Dr. Gonzalez also completed an advanced endoscopy fellowship at Montefiore Medical Center. He is an expert in his field and performs ERCP's and endoscopic ultrasounds. His interests are in the diagnosis and treatment of pancreatic cysts and pancreatic cancer, as well as the treatment of GERD and the pre-cancerous condition known as Barrett's esophagus.